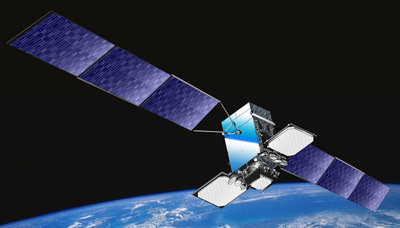 Thales Alenia Space Italia and Telespazio announced in may 2010 that they have signed a contract with the Italian Ministry of Defence and the French Defence Procurement Agency (DGA) for the development of the SICRAL 2 satellite and ground segment for military communications. The contract is worth about €295m in total, of which €193m relates to Thales Alenia Space and €102m to Telespazio. Sicral 2 is a joint Italian-French programme based on a geostationary satellite operating in the UHF and SHF bands. It will enhance the “milsatcom” capabilities already offered by Italy’s Sicral 1 and Sicral 1B satellites, and France’s Syracuse-3 System. The Sicral 2 Programme will primarily support satellite communications for the two countries’ armed forces, and is designed to meet the needs expected to develop in the near future. Like its predecessors, the new satellite and ground segment will provide strategic and tactical communications links for both domestic operations and foreign deployments. It supports all military, terrestrial, naval and aerial platforms, operating in a single integrated network. The satellite will also ensure additional backup for current SHF-band capacity provided by Syracuse 3 and Sicral 1B intended for NATO communications, it being the system designed for seamless integration with today’s national and allied countries’ infrastructures. To develop the Sicral 2 Programme, the two companies, Thales Alenia Space Italia (the Space Alliance between Finmeccanica and Thales) and Telespazio, have created a Temporary Group of Companies (TGC) headed by Thales Alenia Space Italia. Specifically, Thales Alenia Space Italia is responsible for the design of the end-to-end communications system, the space segment, the design and assembly of the satellite, the design, development and assembly of the UHF and SHF payload for the Italian mission, and the architecture of the ground segment. Thales Alenia Space France will design and develop the platform, the SHF payload for the French mission (Syracuse 3C), and the Mission Control Centre in France. Telespazio is responsible for satellite launch and early orbit services (LEOP – Launch and Early Orbit Phase) and for satellite first In-Orbit Tests (IOT). The company will also manage the building of the system’s ground segment.